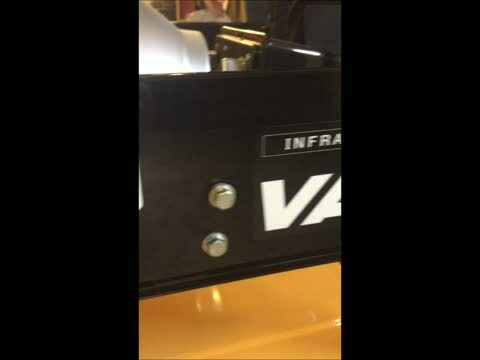 Express Pressure Washers, Inc., is a full-service pressure washer distributor, maintains a sizable inventory of Alkota pressure washers, Val 6 heaters, IPC Eagle sweepers & scrubbers, soap, used equipment, replacement parts, parts washers and accessories. 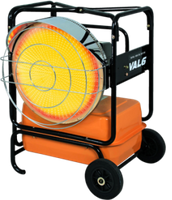 We also repair all makes and models of pressure washers, heaters, and coolers. We have one goal in mind, to achieve 100% customer satisfaction from each one of our valued customers. We meet our goal by providing top-quality equipment, professional services, and long-term value. After the sale, we provide extensive services, including technical support, maintenance and repair, and troubleshooting manuals and videos. 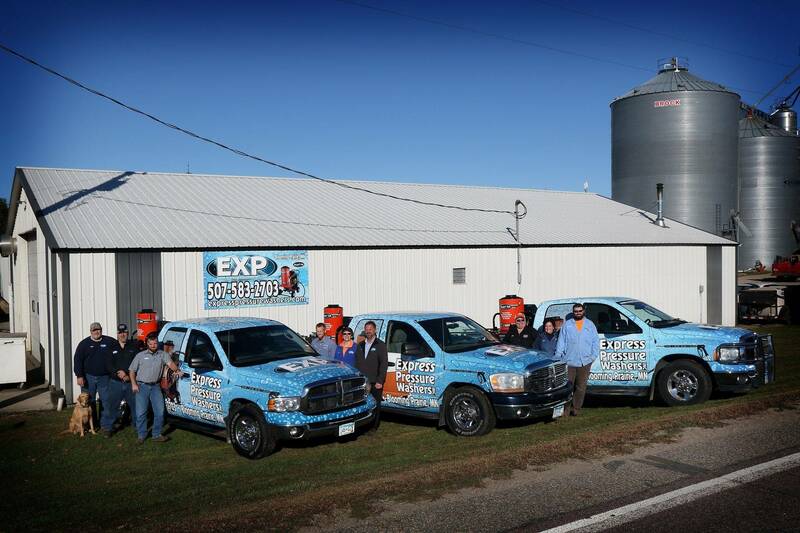 Express Pressure Washers, Inc. is located one mile west of Blooming Prairie, MN. Color of spray tip indicates pattern, NOT size of tip. The size of machine determines the size of tip. Make sure to use the correct size tip or it could cause damage to the pump and/or motor. 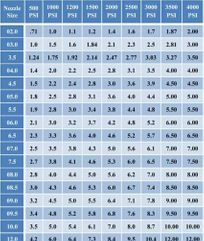 In the left column there is a top to bottom range from 2 to 60. 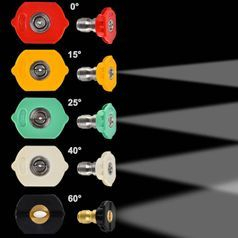 This column will tell you which nozzle to use once you find the PSI and GPM. 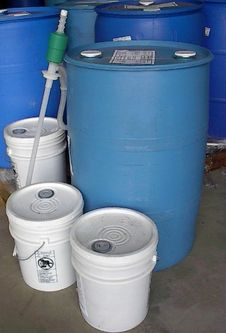 Express Pressure Washers, Inc. will help you find the right pressure washer for your needs. 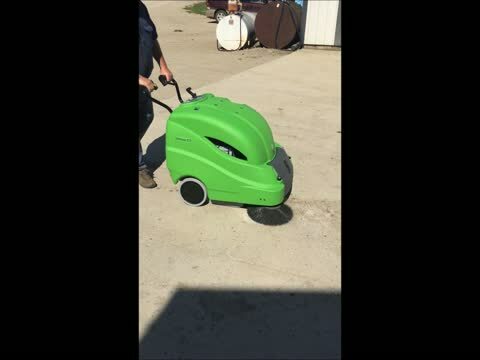 Whether you a need cold or hot, a stationary or portable, an electric or gas driven, Express can find the right pressure washer that best fits your situation. 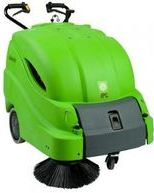 We also have a sizable inventory of Used equipment, Val 6 heaters, and IPC Eagle Sweepers & Scrubbers. 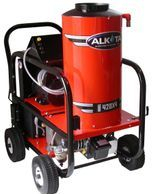 Click on the pictures below to see more information on Alkota pressure washers, radiant heaters, and sweepers & scrubbers. Call us at 507-583-2703 with any questions.